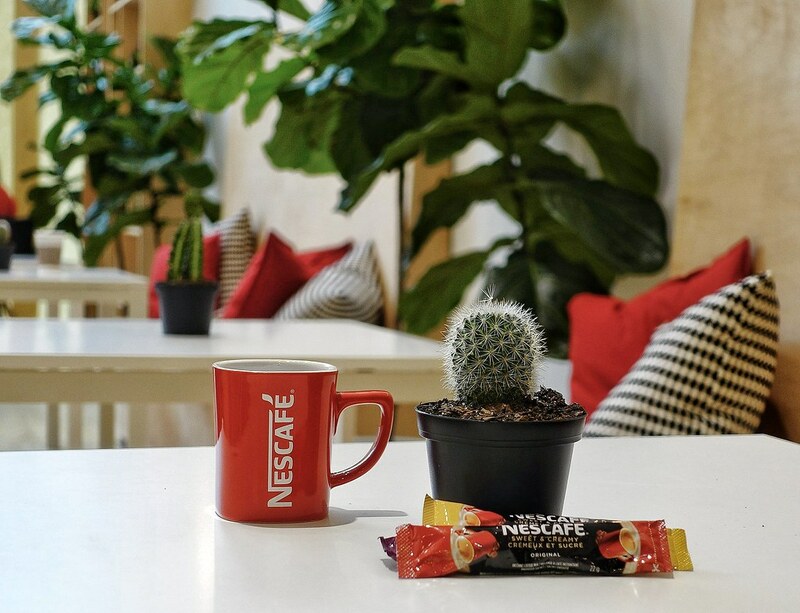 With one scan of NESCAFÉ’s new Sweet & Creamy sachet, the coffee adventure begins! 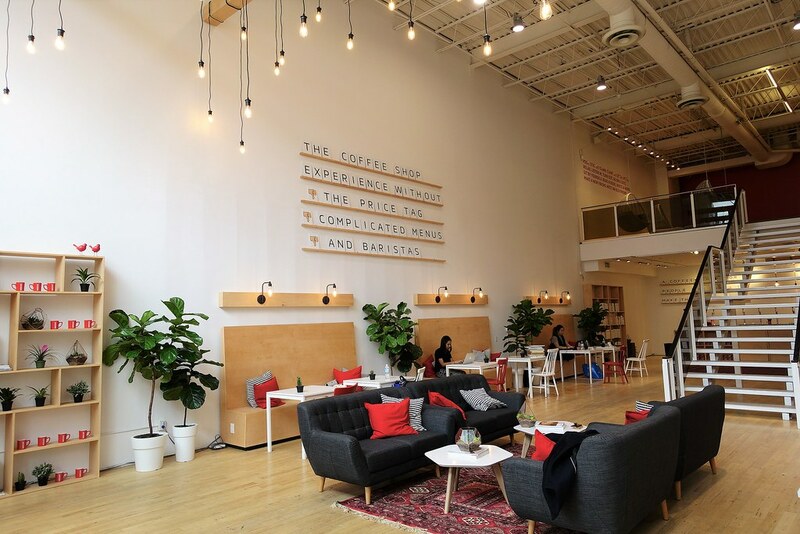 From now to July 12th 9am to 7pm, NESCAFÉ’s newest pop-up, the NESCAFÉ Coffee Taproom invites all to be their own baristas and try out their new Sweet & Creamy line. Ambassadors will be outside the store, distributing sachets, or you can bring your own from home to scan at the door. Just get your code, punch it into the door, and make your way in! 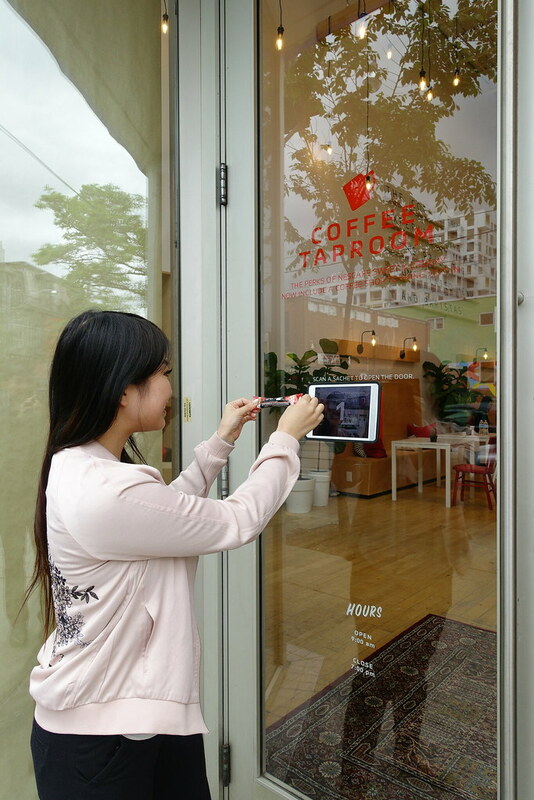 Use the touchscreen to take a picture of your NESCAFÉ sachet, that’s your key! With a successful scan, use the provided code to punch into the door. Enter, and take in the space. 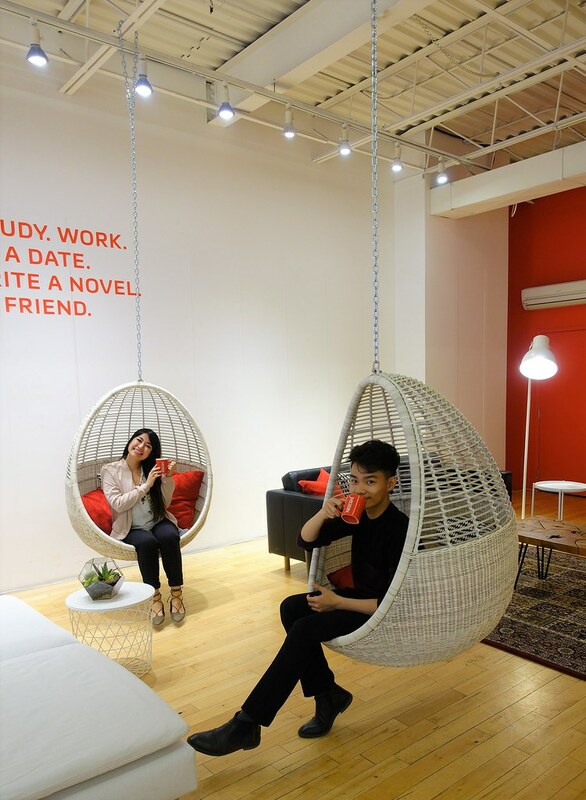 Make your way to the back to be your very own barista — then choose a spot to kick back in, or take your cup to go. I had a chance to lounge in this sweet, sweet coffee hang out on Queen West. There were two floors of seating options (65, total), power outlets to charge up, Wifi to always be connected and good beats during our stay. We had a good giggle at the wall of misspelled name cups, and had to make our own! Mine was Alis, and Huy’s was Weee. 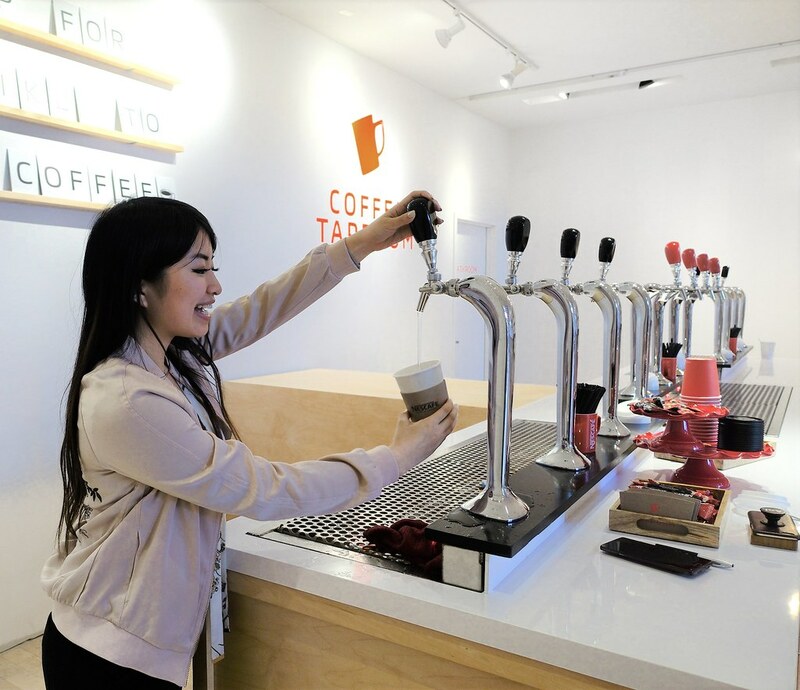 Visit the NESCAFÉ Coffee Taproom at 499 Queen St W, open until July 12! Go on, grab your Sweet & Creamy sachet of choice; pick between Original, Mocha and French Vanilla. Use one of the hot water taps to add in a cup of water, stir and enjoy. The hot water should very quickly dissolve the instant coffee mix. Read: NESCAFÉ Sweet & Creamy at Home — Just Right. Find a spot to sit, and enjoy. I’d go to get a caffeine fix three days in a row to try them all! 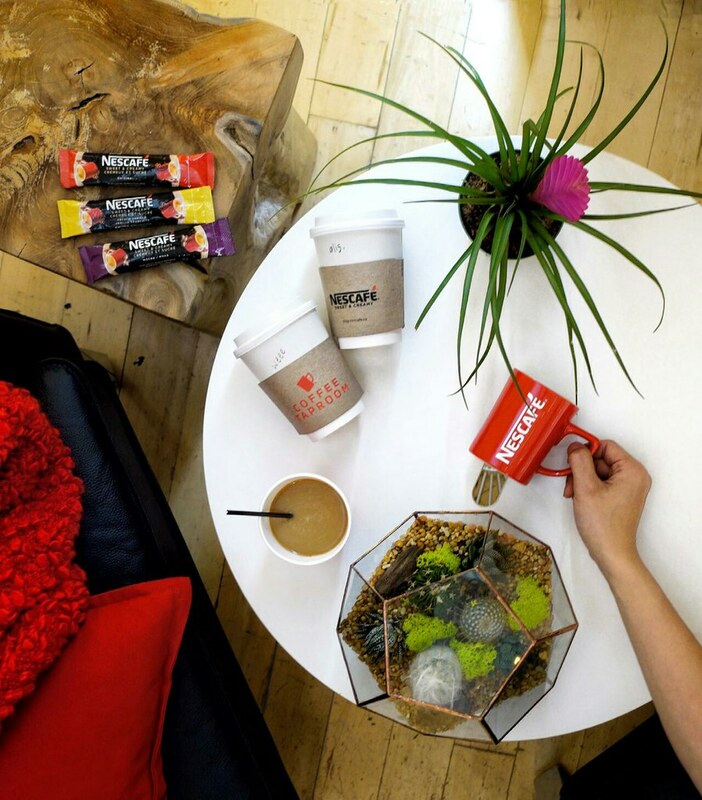 Make your visit to NESCAFÉ Coffee Taproom at 499 Queen St W, the taproom is open 9am to 7pm, everyday until July 12! We also took a wander upstairs, to have a seat in the swinging pods. Previous Post The Beer to Taste, See and Hear: Big Rock & Whitehorse Collaborate for Session 2017!